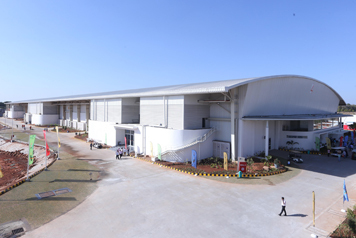 Bangalore International Exhibition Centre (BIEC) has constructed a new state-of-the-art exhibition hall measuring 17,500 square metres. 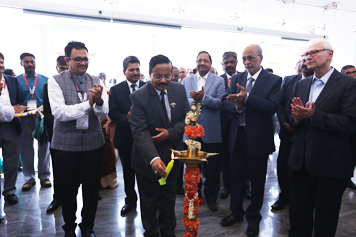 The newly built Hall 4 was inaugurated by Mr. Girish Shankar, Secretary (HI), Department of Heavy Industry, Ministry of Heavy Industries & Public Enterprises, Government of India on 26 January 2017. IMTEX was the first exhibition to be held in this hall. Exhibition organizers can now look forward to book additional space for their exhibitions and conferences. Shri R.V. Deshpande Minister for Large and Medium Industries & Infrastructure, Govt. 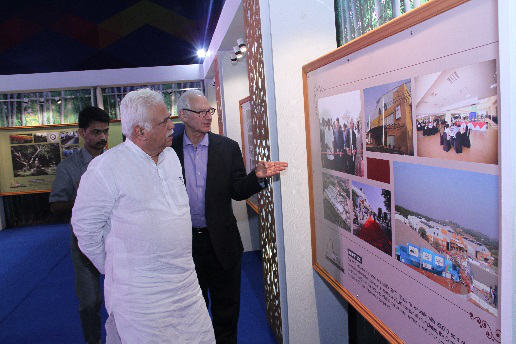 of Karnataka takes a tour of BIEC’s 10 year journey displayed for dignitaries in the form of images and a short film. 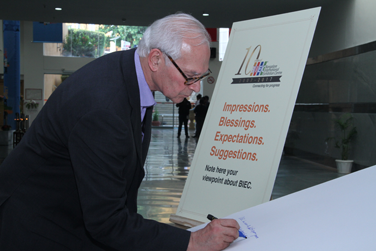 BIEC has completed 10 years. The milestone was celebrated with a commemoration programme on 28 January 2017. BIEC is the realization of Naoroji Pirojsha Godrej's vision and its 10 year journey was displayed for the dignitaries in the form of images and a short film at Experience Zone in BIEC's 'Conference Centre. 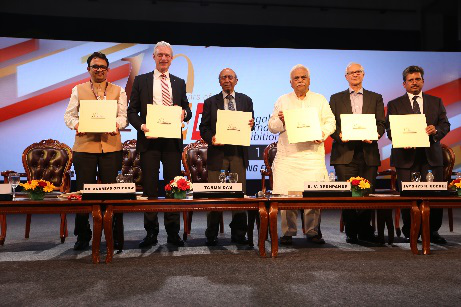 Dr. Andreas Gruchow, President, UFI, Mr. Tarun Das, former Chief Mentor, CII and Founding Trustee, Ananta Aspen Centre, and Mr. Jamshyd N. Godrej, Chairman, Exhibitions - IMTMA, et.al. On this occasion the 'BIEC Coffee Table Book was released. As a homage to the industrial visionary Naoroji Godrej, a short film was also screened for the dignitaries. 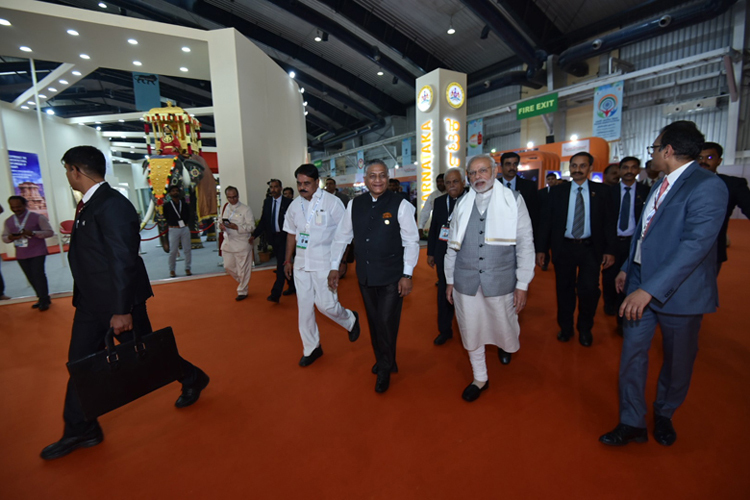 BIEC hosted the 14th convention of Pravasi Bharatiya Divas organized by the Ministry of External Affairs, Government of India from 7 to 9 January 2017. 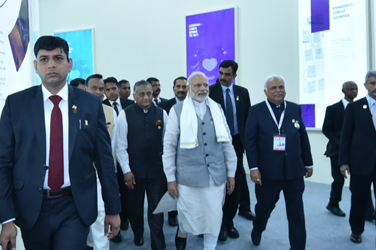 This was a historic occasion as both the President of India, Shri Pranab Mukherjee who gave the valedictory address and the Prime Minister of India, Shri Narendra Modi who delivered the keynote address and the Chief Minister of Karnataka, Shri Siddaramaiah who also addressed the gathering, came together for an event at BIEC. H.E Antonio Costa, Hon'ble Prime Minister of the Portuguese and H.E Michael Ashwin Satyandre Adhin, Vice President of Suriname were among the foreign dignitaries who participated in the event. Shri Ananth Kumar, Minister for Chemicals and Fertilisers, and Minister of Parliamentary Affairs; General (Dr.) V K Singh (Retd), Minister of State for External Affairs, et. al. ; graced the event with their presence. Chief Ministers of Assam, Chhattisgarh, Jharkhand, Karnataka, Kerala, Madhya Pradesh, Maharashtra and Puducherry also delivered their address on the occasion. 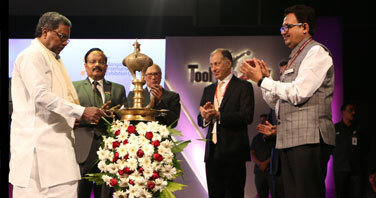 Shri Siddaramaiah, Hon’ble Chief Minister of Karnataka lighting the ceremonial lamp to inaugurate IMTEX 2017 & Tooltech 2017 as other dignitaries look on. 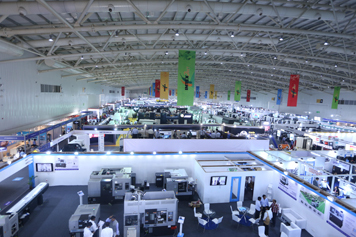 Indian Machine Tool Manufacturers' Association's (IMTMA) flagship exhibition "IMTEX 2017 & Tooltech 2017" held at the Bangalore International Exhibition Centre (BIEC) in Bengaluru concluded on 1 February 2017. The exhibition attracted a footfall of 75,440 visitors. Many exhibitors closed deals and bagged good business orders. Orders worth Rs. 1,670 Cr and enquiries to the value of Rs. 18,989 Cr were generated during the exhibition. Compared to IMTEX 2015 & Tooltech 2015 the booked orders have shown an increase of 16%, whereas the generated enquiries increased by 21%. BIEC, Bangalore Traffic Department and Traffic Warden Association conducted a Safe Driver workshop during IMTEX 2017 & Tooltech 2017. Around 400 drivers were trained on safe driving skills. 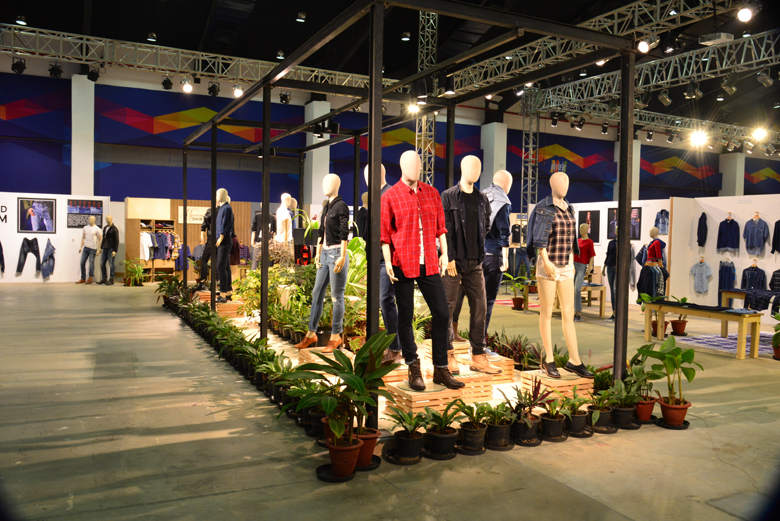 American jeans and casual wear manufacturer Levi Strauss organized a line presentation for its upcoming autumn and winter 2017 season at the Bangalore International Exhibition Centre from 14 to 19 January 2017. Seven hundred channel partners participated in the event. 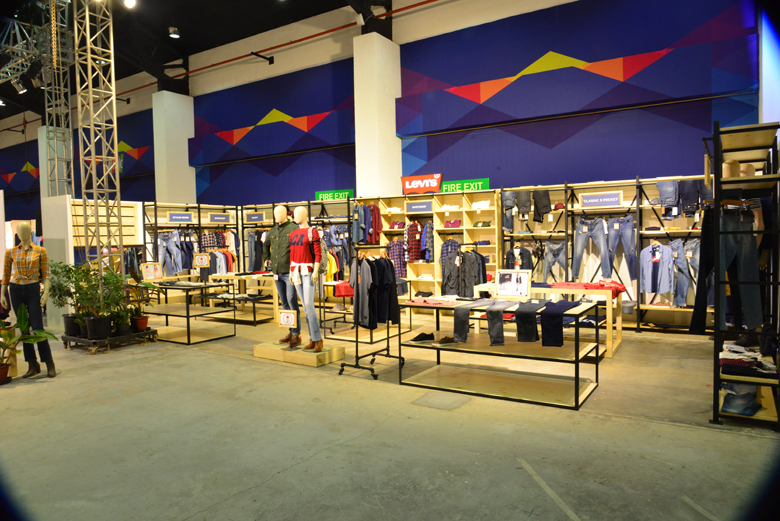 The channel partners of Levi Strauss including master franchises, distributors, national chain stores, and e-commerce customers took part in the sessions. 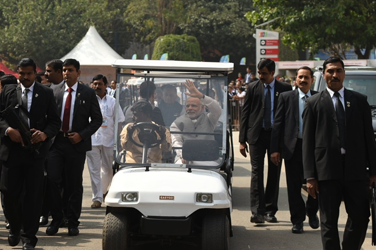 The event attracted visitors from all over India, north to south and east to west. 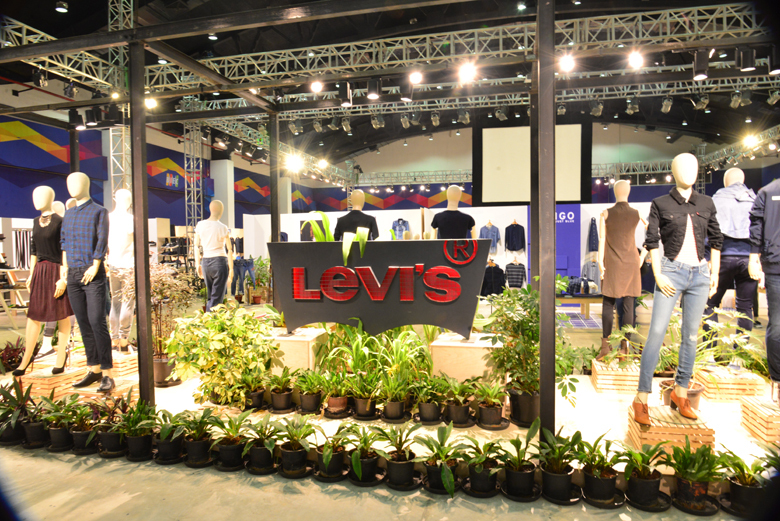 Levi Strauss staged a fashion show and showcased the line presentation for autumn and winter season at Jacaranda hall. Coinciding with IMTEX, IMTMA organized an International Seminar on Machining Technologies on 25 January 2017. The theme of the seminar was "Powering Manufacturing Growth and Competitiveness". Around 400 delegates from a wide section of the metal working industry attended the seminar. India Pharma 2017- An International Exhibition & Conference on Pharmaceutical Industry is a joint initiative of Department of Pharmaceuticals, Government of India and Federation of Indian Chambers of Commerce & Industry (FICCI) to provide a common platform where all the participants will get an opportunity to enhance their brand value by displaying their product and the capabilities among the conference delegates and business visitors provided by the event. The second edition of this conference will be held at BIEC from 11 to 13 February 2017. 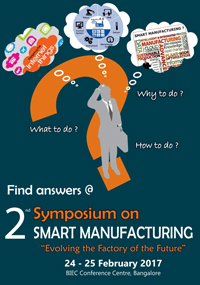 To understand and address the real-time application and benefits of Smart Manufacturing, IMTMA is organizing the 2nd edition of 'Symposium on Smart Manufacturing - Evolving the Factory of the Future, on 24-25 February 2017 at BIEC in Bengaluru. The symposium is a combination of technical presentations, case studies, interactive sessions, and panel discussions with industry experts. 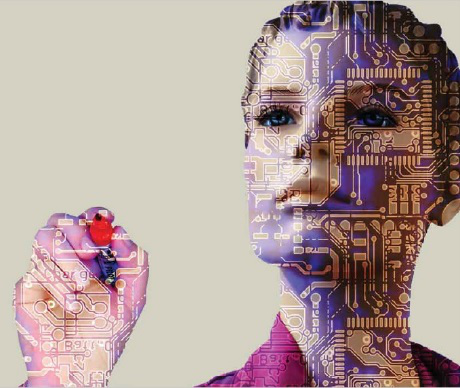 Automation Buzz 2017, a display of a wide range of automation products, equipment and smart manufacturing solutions will be held concurrently. 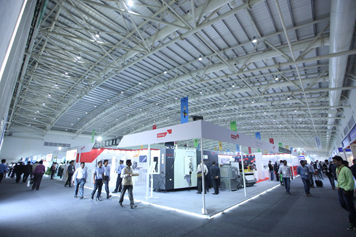 India Electronics Week (IEW) brings multiple shows and conferences together at one place. EFY Group will be organizing the Electronics Week at BIEC from 2 to 4 March 2017. The second edition of the show with the same theme 'Invest in India' will celebrate the achievements of India's electronics industry and showcase its capabilities to the world.